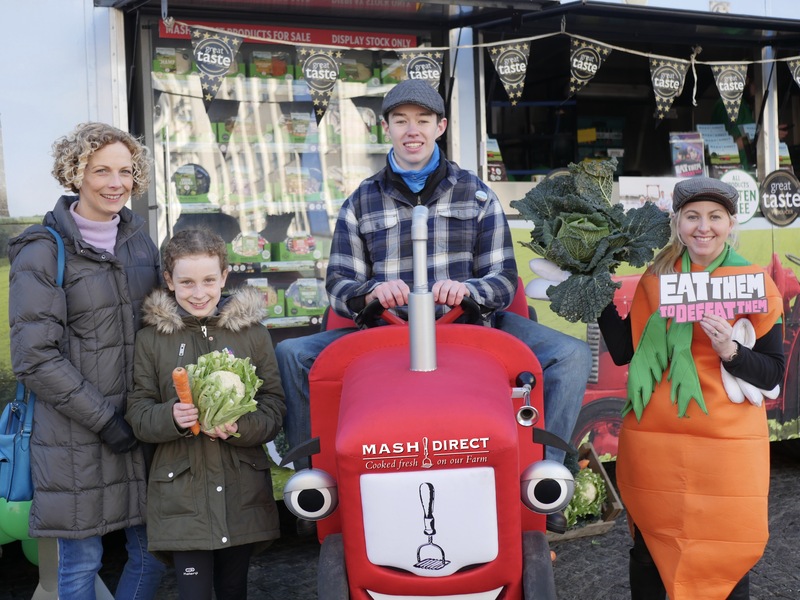 Mash Direct Launch Veg Power and ITV Campaign in NI- Encouraging Children to Eat More Vegetables | Food NI - Our Food So Good! L- R: Heather, Hollie and Reuben Mc Feeters (Digital Marketing Executive, Mash Direct) and Clare Forster (Head of Marketing, Mash Direct) launch the ITV and Veg Power campaign in Northern Ireland. Heather and her daughter Hollie came along to the launch of the Veg Power and ITV ‘Eat Them to Defeat Them’ campaign at Belfast City Hall on Saturday 25th February to encourage children in Northern Ireland to eat more vegetables.